I answered his question by explaining what those swing faults were and what we needed to work on to eliminate those swing faults. After a few more golf shots the conversation moved from focusing on what we are working on, to “what did I do wrong with that last swing?”. 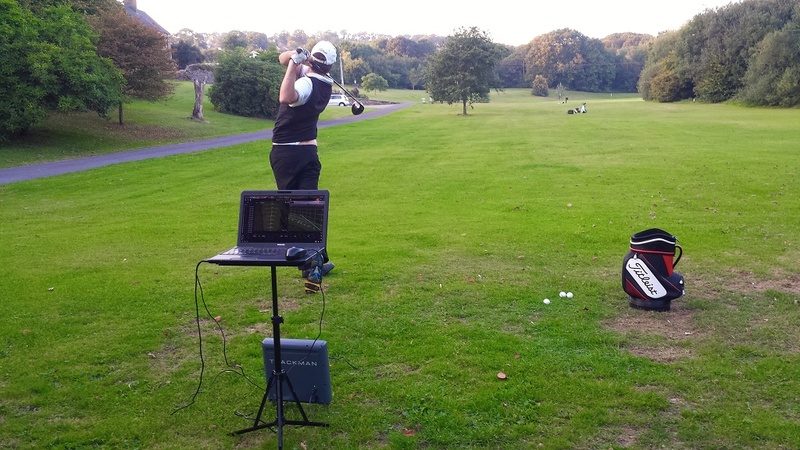 Generally, golfers over analysing their golf swings and this is a very common issue for most golfers. Then after a moment of inspiration, we can come up with a quick fix to remedy that bad swing. This type of a swing fixing is effectively the worst kind!!!!! However, we talked about changing his practice process and avoid over analysing his good and bad golf swing. We hammered out an agreed plan to practice golf by practising what he feels is his very best golf swing that he can make every time. Please note that some swings can feel better or worse than the previous swing, the point is to keep believing and working on making each golf swing better than that previous golf swing. He hit 20 balls and I ranked the shots either by yes that was a good swing movement or a good strike versus, no, it was not a good swing movement or ball strike. We also took the approach to make the “his very best practice swing” as a core part of his pre-shot routine. His focus changed from being reactive and over analysing his bad golf swings to making the best practice swing he could make. Then set up to hit a ball with that feel the good swing in mind and repeat the same feel-good swing hitting the ball. *Please note that generally, each golf swing that we make may have a swing fault or swing faults of some description. But, keep working towards a simple golf swing process and with an overall blueprint for your golf swing that feels easy to complete. Full body turn exercises x 5 times. Hip turn exercises x 5 times. Make 5 x sequence drills (make a 3/4 length backswing, then pause for 3 seconds, start your downswing by turning your hips and swinging fully through to a completed follow-through position). Make 2 of your best practice swings possible you can possibly make. Practice your on-course pre-shot routine to hit 5 of your best golf. Change club and change target, then repeat from step 1. Please feel free to contact if you would like to work on improving your practice method for your golf swing. Enjoy working on your golf swing. Remember to show off your best golf swing.